Oh, my, goodness. I can’t believe I actually made these. They are so amazing and will rock your world if you are into physical activity, missing delicious treats, just need something to get you through the day or want a dessert! Yes, this is the all around awesomeness recipe! Make them with glucose and they will serve you as a fantastic workout / hiking energy bar and with zylitol for a snack on a regular day. If you are withdrawing from sugar the high level of protein and fats will curb your sugar cravings! 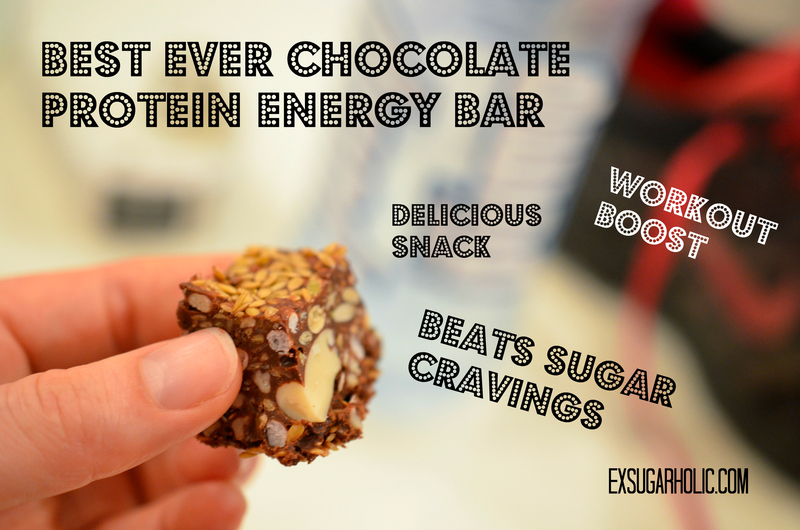 TOP TIP: Including hazelnuts will give the bars a taste of Nutella!!! The more you use, the more of the flavour you will get. Yes, just try roasted hazelnuts in the oven, your house will smell like Nutella…. mmmmm…… Nutella…. (okay I will stop saying Nutella now). Turn your oven to 160C (320F) so it heats up whilst you prepare your nut/seed mix. Get a medium/large bowl and chuck in all your seeds, nuts and coconut in it. Add the oil to the mix, stir it around so it covers nicely. Add your chocolate and cinnamon powder. Give it another good stir so that you get an even coating and spread on a baking paper and chuck it in the oven for 6-10 minutes (depending on how finely you chopped your nuts and what your oven is like. Let it sit to cool it for a bit. Melt your chocolate in a water-bath (same method as in this recipe) or in the microwave (just be careful not to nuke it – stop when half of it is melted, take out and stir and leave the other half to melt slowly on the kitchen bench, still in the same container). Add your glucose or zylitol (they look very alike, it’s zylitol in the photo below). Stir. Add peanut butter and stir again. Add 100g of the seed/nut mix and mix until all of it is evenly distributed. Now line a container with cling film, then add linseeds so that the finished bar will have seeds on the bottom and top (great for workouts and hikes where you don’t want the heat of your fingers to melt and get chocolate on your fingers). Add your chocolate / seed mix. Drizzle more seeds on top. Wrap the cling film to keep the shape you want the bars to take and put it in the fridge to set for at least 1 hour. Boom – ready to eat! And then you just pipe it into my protein bar cups and top with a blueberry. Scrumptious! If you would like to see more gluten, dairy and sugar-free recipes like this you can follow me here (via email, see top right on this page), on Facebook or Twitter.